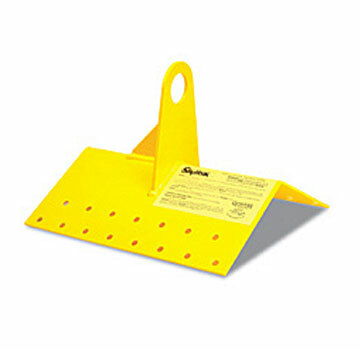 PRODUCT: GUARDIAN #00310 "SKYHOOK" PERMANENT ROOF ANCHOR & FASTENERS. FITS 1/12 to 3/12 PITCH ROOFS. PRICE/EACH. GUARDIAN #00352 'SKYHOOK' TOP FLASHING, PRIMED FINISH. PRICE/EACH. GUARDIAN #00359 'SKYHOOK' BASE GASKET, LARGE NEOPRENE GASKET. PRICE/EACH. GUARDIAN #00358 SKYHOOK SMALL NEOPPRENE GASKET. PRICE/EACH.